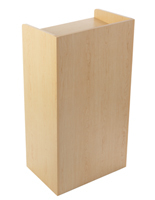 This melamine hostess station has a simple design that works in myriad settings. 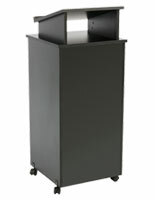 This stand serves as an anchor for meet-and-greet staff who are seating customers. 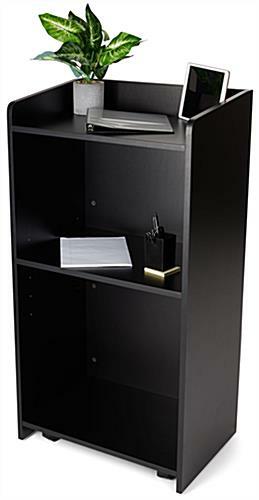 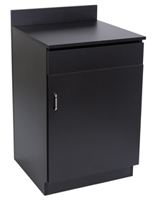 The unit is constructed of durable particleboard wood with a black finish. 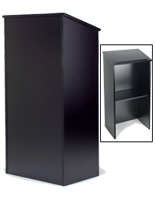 This hostess station is priced economically; purchase in bulk and prices drop even more. 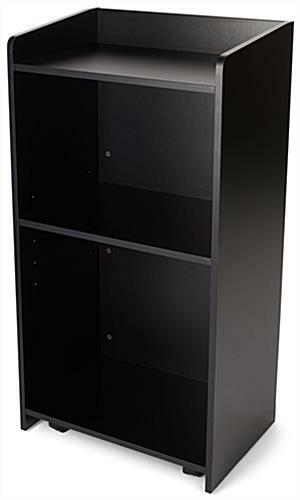 The inside shelf has five height settings for containers and platters. 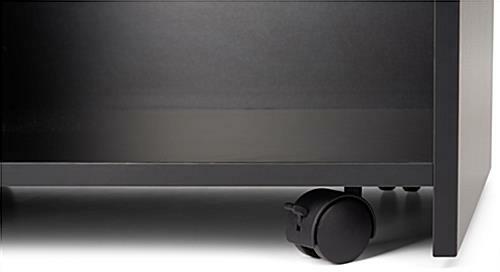 Restaurant furniture with hidden casters like this piece, is versatile - move it to another space, and hide the wheels when it's situated where you need it, for stability. 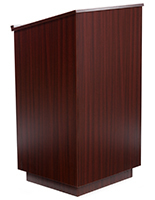 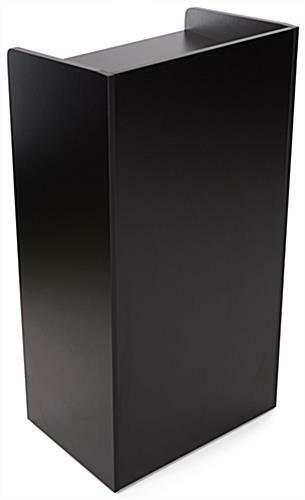 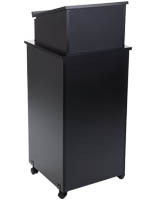 This stylish podium can be used at a variety of functions, receptions, and ceremonies. 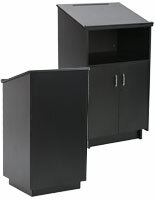 This melamine hostess station with open shelving for trays, bowls, glasses, or personal items is always a hit! 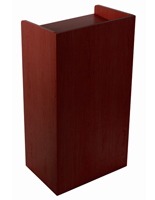 22.5" x 45.8" x 16.6"
Super quick delivery and great product!